WHAT IS THE THIRD ORDER? The Third Order Secular of St. Francis is a order of the laity, originally founded by St. Francis of Assisi. It is a state of perfection for persons living in the world. WHAT IS THE PURPOSE OF THE THIRD ORDER? The purpose of secular Third Orders in the Church is the same as that of religious orders and congregations: they promote Christian perfection. ADVANTAGES OF THE THIRD ORDER Following the spirit and letter of the Rule, members of the Third Order of St. Francis find a safe refuge in a sinful world and an excellent sanctuary of the choicest virtues. The tertiaries are heralds of the Great King and ambassadors of the Church. FORMATION Candidates must be above the age of eighteen, in good character, peace-loving, and above all of have proven fidelity in the practice of the Catholic Faith and in lo-yalty to the Holy Catholic Church Anglican Rite. 3. Church law mandates that candidates undertake at least one year of novitiate before making their profession. At profession the candidates promise to observe the Rule for the rest of their lives. POSTULANCY: ordinarily, where there are establi-shed Fraternities of the Third Order, there is a po-stulancy period of at least 3 months for those seeking entrance. Postulants shall be brieï¬‚y instructed in Chri-stian doctrine, in the life of our holy Father Francis, and in the Third Order. At the end of the postulancy, those who have been found suitable shall be admitted to the novitiate of the fraternity by the Director on the advice of the Council. NOVITIATE: according to the Rule, the novitiate must last at least one full and uninterrupted year. The No-vitiate begins with a clothing ceremony in which the candidate receives the habit of the Third Order: A large brown scapular and a cord with 3 knots. One can chooses a new name on this day. Meetings: one day a month the novice must participa-te in the meeting of the fraternity. PROFESSION: profession in the Third Order is a solemn religious act whereby one of the faithful, moved by divine grace, dedicates himself to God, promising to observe the holy Gospel of our Lord Jesus Christ in the world, by living according to the commandments of God and the rule of our holy father Francis. .Simplicity and modesty in dress.
.	Keeping away from dances and shows that pro-mote licentiousness and avoiding all forms of dissipation.
.	Temperance in eating and drinking.
. .Monthly Confession and Holy Communion.
.	Praying the Morning and the Evening Prayers.
.	Making a last will and testament.
. Leading others by setting a good example.
. Maintaining charity towards others.
.	Refraining from taking unnecessary oaths and using indecent language.
. 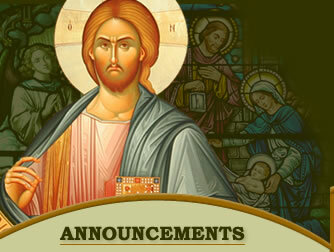 Attending Mass daily when possible and attending the monthly meetings.
. Contributing to a common fund for the needs of poor members and for the dignity of worship.
.	Praying for deceased members. Why A Third Order? Third Order Regular priests and brothers are professed to full religious life but who do not live in a monastic setting. These men work in the world and live the friar's life fully in their locale. Their vows are simple poverty, chastity and obedience. 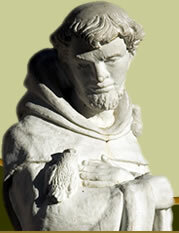 The lay people who choose to follow St. Francis’ life wish to change their lives in the same way, but must maintain a family or cannot live a friar’s life, may join in the benefits of the order and be every bit as real a member of a religious Order by becoming a Third Order Secular member. The demands are quite minimal for one who wishes to add this spiritual dimension to their life. The Orders of Saint Francis in the Anglican Rite Catholic Church are a continuation of the Order brought to the British Isles in 1224, by Agnellus of Pisa. The Franciscan Order has survived and grown away from its Protestant Brethren in The Church of England and in the United States. 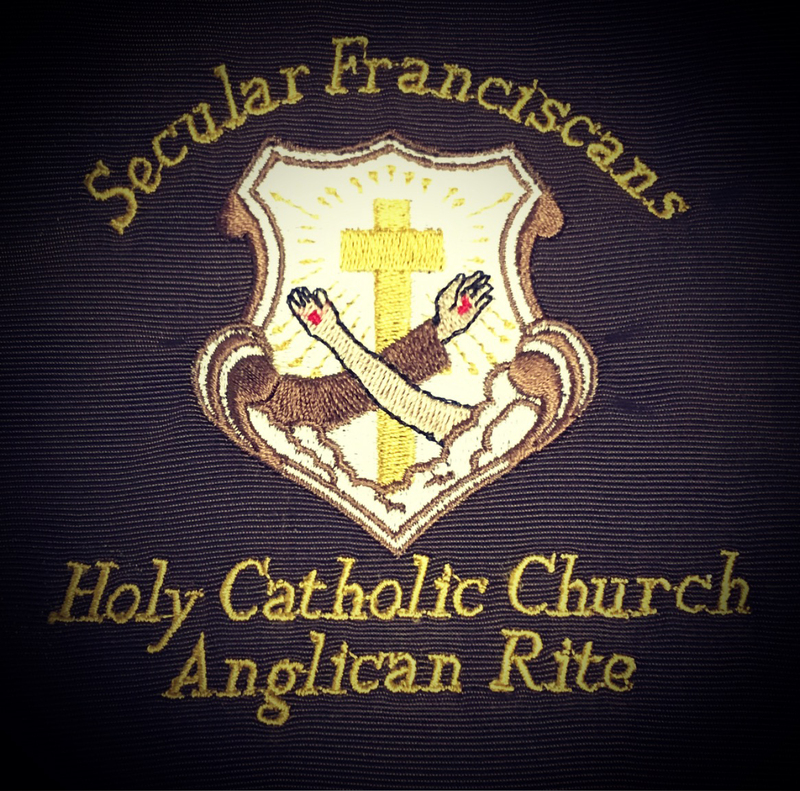 The Franciscan Order is alive and well in the Anglican Rite Catholic Church, where in 1976, it was continued under the organization of The Rt. Rev'd Frank Knutti . Before his death he organized the Orders properly in accordance with the canons of the Anglican Rite Catholic Church. All those interested in the First Order, Third Order Regular or Third Order Secular are welcome to inquire with Bishop Leo Michael.